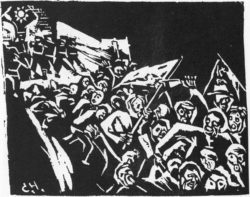 Jiang Feng, Kill the Resisters (1931), woodcut, 14 x 17.7 cm. Reproduced from Selection of 50 Years of Chinese New Printmaking, Vol. 1, 1931–1949 (Shanghai: Shanghai People’s Fine Art Publishing House, 1981). 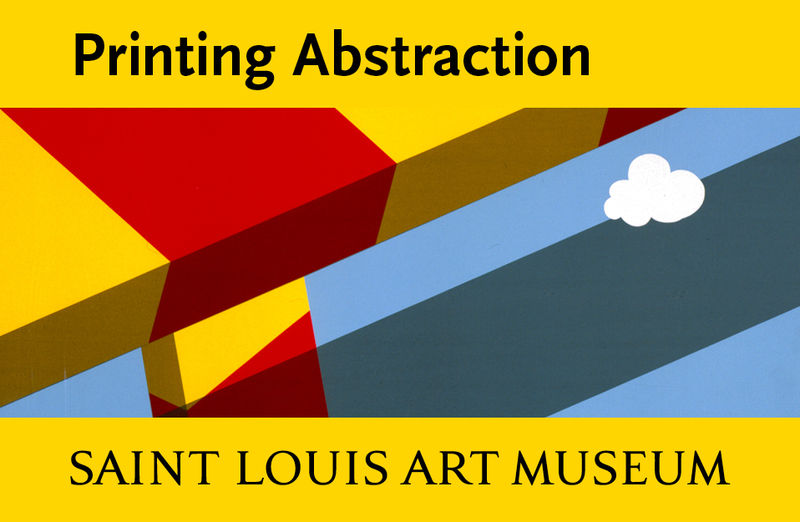 Prints in general, and woodcuts in particular, are frequently touted as a political art form par excellence—expressive, inexpensive, easily distributed and visually accessible. In European history printmaking was the upstart form of the Reformation and of all sorts of subsequent anti-authoritarian movements, from Mexico to South Africa. But what happens when the woodcut is adopted as the mandatory vehicle of authority? What happens to the instrument of the proletariat under a centrally administered dictatorship of the proletariat? 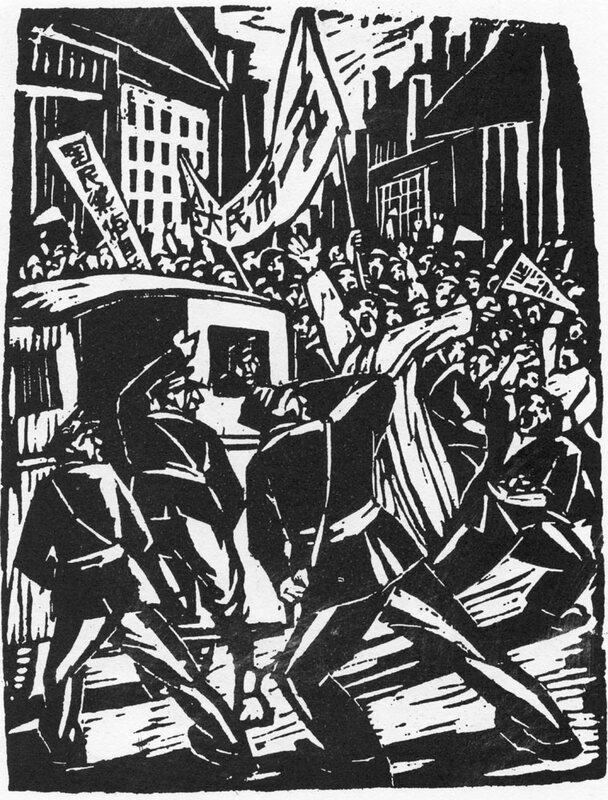 The New Woodcut Movement (新木刻运动) that gained momentum during the 1912–1949 Republic of China strove for popular relevance, made its mark on history and has been well-studied; the No Name Group, which operated in secret during the Cultural Revolution, abjured print for painting, and adopted anonymity and privacy as both a philosophical goal and a necessary stratagem of survival. 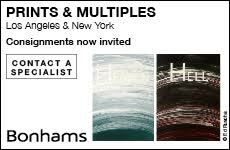 For New Woodcut artists, the print’s process, history and potential social utility made it an ideal art form; for the No Name Group, these same qualities made it anathema. Both were responses to, and reactions against, the political and social situations of their time. 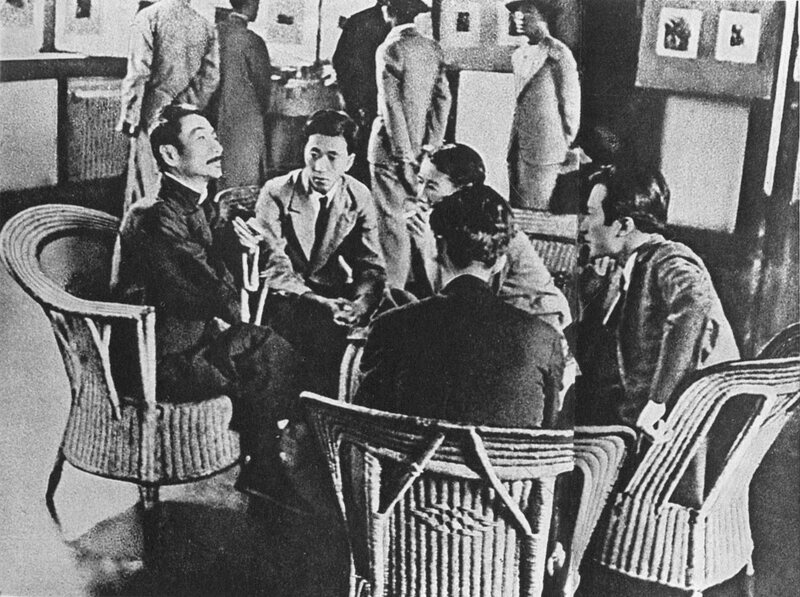 Lu Xun with young woodcut artists in 1936. Reproduced from Selection of 50 Years of Chinese New Printmaking, Vol. 1, 1931–1949 (Shanghai: Shanghai People’s Fine Art Publishing House, 1981). Photo: Sha Fei. In 1915 Chen Duxiu (陈独秀) published “A Letter to Youth” in the first issue of the radical journal New Youth (新青年), in which he called on young Chinese to “Be independent and not enslaved/Be progressive and not conservative/Be in the forefront and not lagging behind.”3 Chen’s article launched the New Culture Movement (新文化运动), which promoted democracy and science and criticized traditional Chinese culture, especially Confucianism, relentlessly. As the movement grew more political, Chen introduced Marxist theory into New Youth, leading to the emergence of the Chinese Communist Party. Through manifestos, literature and art, progressive writers and thinkers endeavored to wake the Chinese people from what these reformers considered their destructive, isolationist dreams rooted in ancient greatness. It was also an essentially Chinese form: woodblock printing in China had reached maturity by the Tang dynasty (618–907); the Diamond Sutra scroll, dated 868, is considered to be the earliest extant woodblock printed book.5 The New Year pictures (年画) found in almost every Chinese domestic environment have been produced with multi-block color printing since the 17th century. The modern woodcut advocated by Lu Xun, however, departed from this tradition in both content and process. In place of religious texts and folktales, left-wing artists were to shout in protest. 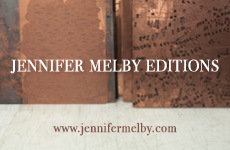 And while the traditional printing system separated the tasks of drawing, block-cutting and printing, and considered those performing them to be craftsmen rather than artists, New Woodcut artists adopted the attitude of the Western “original print.” They considered the marks created by knife and chisel—the wounds in the material—integral components of content: “Printmakers as artists do not imitate, do not replicate; the author holds the knife towards the wood, and cuts straightaway.”6 In Lu Xun’s 1930 publication of Carl Meffert’s Woodcut Illustrations for [Fyodor Gladkov’s novel] Cement (梅斐尔德木刻士敏土之图), he praised the “rough and organized power” of Meffert (a.k.a. Clément Moreau). The phrase can be applied not only to the cement factory that is the focus of the story but also to the visual language of woodcut itself: its composed roughness and organized disturbance. Woodcut is the perfect instrument for conveying conflict because it requires physical struggle and celebrates powerful contrasts. 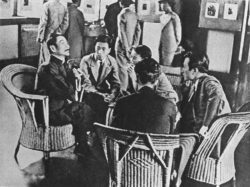 In 1931, Lu Xun arranged a workshop in Shanghai and invited Japanese artist Uchiyama Kakechi to demonstrate woodcut technique. 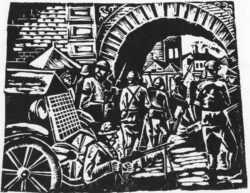 When Japan invaded China later that year, one of the workshop students, Jiang Feng (江丰‭)‬, created woodcut flyers depicting heavily armed Japanese forces marching into a village in Shenyang. These were posted in the streets to protest both the Japanese attack and the “non-resistance policy” of the Chinese government then under the leadership of the Kuomintang. Jiang’s image departs entirely from the meticulous and decorative Chinese woodcut tradition, instead employing the chunky, expressive cutting, flat blocks of black and bleed compositions of modern European prints. Jiang Feng, 9.18 Japanese invasion of Shen Yang (1931), woodcut, 15 x 19 cm. Reproduced from Selection of 50 Years of Chinese New Printmaking, Vol. 1, 1931–1949 (Shanghai: Shanghai People’s Fine Art Publishing House, 1981). In the years that followed, collaborative woodcut workshops were organized by young patriotic artists all over the country: the MK Research Society (MK木刻研究会) in Shanghai; the Wooden Bell Woodcut Research Society (木铃木刻研究会) in Hangzhou; China Modern Prints (现代版画会) in Guangzhou and the Peking-Tianjin Woodcut Research Society (平津木刻研究会) in Beijing.7 These organizations produced a profusion of earnest woodcuts meant to spread revolutionary thought as vividly and comprehensively as possible, by reaching out to the vast majority of Chinese who were not politically active or even literate. In 1933, Lu Xun wrote an introduction to a Chinese edition of Frans Masereel’s wordless woodcut novel Passionate Journey in which he compares the prints to Chinese traditional long scroll paintings, which similarly employ timelines and tell stories without words. 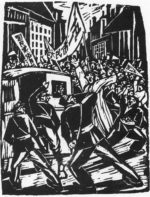 “This is very beneficial for the viewers,” he wrote, “for they can grasp the situation right away.”8 Zheng Yefu (郑野夫), another student in Lu Xun’s 1931 workshop and a lifelong follower of Lu Xun , created a body of prints that clearly echoed Masereel’s artistic approach and ideological stance, such as Dawn (1933), Fight (1933) and the 20-woodcut series, Flood (1934). In 1935 Lu Xun published The Selected Prints of Kathe Kollwitz. The pain, sorrow and resistance of Kollwitz’s prints resonated with Chinese artists, and aspects of her style—the centered, theatrical compositions; the simplified and consolidated outline; the economical and striking arrangement of lines—had extensive impact on New Woodcut artists. During the Sino-Japanese war the Chinese Communist Party grew more powerful, and Mao Zedong consolidated his authority within the party. In May 1942, Mao delivered a famous speech at the Yan’an Conference on Literature and Art, where he argued: “Literature and art are subordinate to politics, but in their turn exert a great influence on politics.”9 Mao quoted a poem by Lu Xun, whom he admired, to support his view of art’s function: “Fierce-browed, I coolly defy a thousand pointing fingers; Head-bowed, like a willing ox I serve the children.”10 Art, Mao declared, “should serve the masses of revolutionary workers, peasants and soldiers.” And to do so, “writers and artists of promise must go among the masses . . . go into the heat of the struggle, the only source.”11 In response, progressive artists and writers moved in great numbers to Yan’an to produce art that answered Mao’s call. Though Mao had spoken highly of New Woodcut, the prints made in Yan’an differed from—and effectively put an end to—the expressionist experimentation of the earlier movement. The woodcut’s proletarian tradition and effectiveness meant it remained the dominant medium of visual art, but instead of depicting poverty and suffering, Yan’an woodcuts celebrated the bright new life supposedly being lived in areas under Communist control. What began as a pursuit of direct communication solidified into rigid, formulaic propaganda. 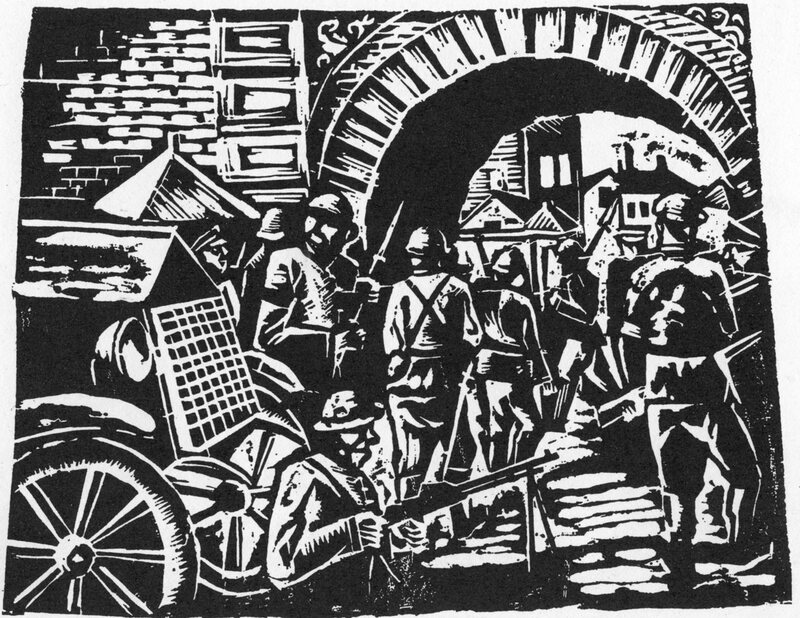 Yan’an woodcut merged with Soviet-influenced Socialist Realism, which would dominate Chinese art exclusively in the following decades, reaching its peak during the Cultural Revolution. 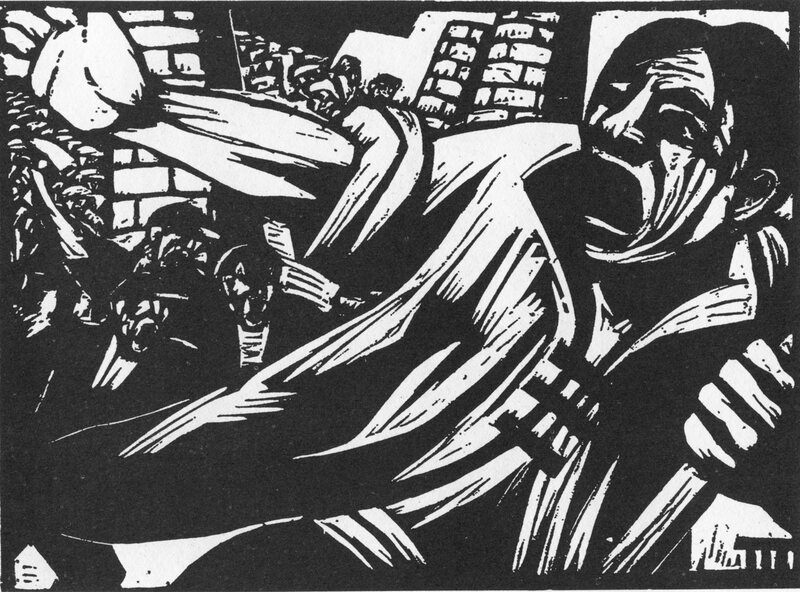 Zheng Yefu, Fight (1933), woodcut, 19 x 14.5 cm. Reproduced from Selection of 50 Years of Chinese New Printmaking, Vol. 1, 1931–1949 (Shanghai: Shanghai People’s Fine Art Publishing House, 1981). In Lu Xun’s 1927 talk “Literature of a Revolutionary Period,” he said “those who are strong do not talk, they kill,” just as in the natural world, “when a hawk catches a sparrow, the hawk is silent, the sparrow is the one to cry out.”12 Confronted with a ferocious foreign invasion and governmental repression, New Woodcut had been the cry of a sparrow, affecting and profound. Woodcut as a medium had been empowered by genuine and urgent necessity. When the sparrow had defeated the hawk, however, it no longer needed to cry but used its voice to trumpet its victory. In a sense, Yan’an woodcuts are more in tune with traditional religious Chinese woodcuts, illustrating and promoting a particular ideology. In fact, in accordance with Mao’s instructions to “serve the masses,” Yan’an artists adjusted their style to accommodate the visual habits of the rural populace. They abandoned the sharp contrast of black and white for dramatic light and shadow on a figure’s face, and instead used line drawing as is traditional in Chinese xiu xiang (绣像) woodblock illustration. The familiarity of style helped the message find acceptance; the vast majority of undereducated Chinese transferred their religious beliefs to the new god, Mao. Lu Xun died in 1936. Though he had played a vital role in the popularization of Marxism in China, he never joined the Communist Party himself and would have objected to Mao’s alteration of his legacy. In his critical 1908 essay “On the Power of Mara Poetry” (摩罗诗力说), he had argued that “art is a departure from any substantial utility”—an observation that would seem at odds with his vision of art as a tool of social reform. Perhaps he found that living with this painful contradiction was the price of staying sane, given that absolute belief in any direction carries the danger of fanaticism and barbarism. In George Orwell’s 1984, when Syme talks about Newspeak, he explains that his job is not to invent new words but to destroy existing ones so “thoughtcrime” would be annihilated, as “there will be no words in which to express it.” He concludes: “The Revolution will be complete when the language is perfect.” In the case of China, the completion of the revolution required all language, including visual language, to be reduced to a handful of repetitive tropes. Woodcut, once the instrument of popular resistance, was now an oppressive tool of the state. On 18 August 1966 more than a million members of the paramilitary youth group, the Red Guards, converged on Tiananmen Square for a personal audience with Chairman Mao, who anointed them enforcers of the Cultural Revolution and its goal of purging all vestiges of bourgeois, traditional or alternative thought from the nation. 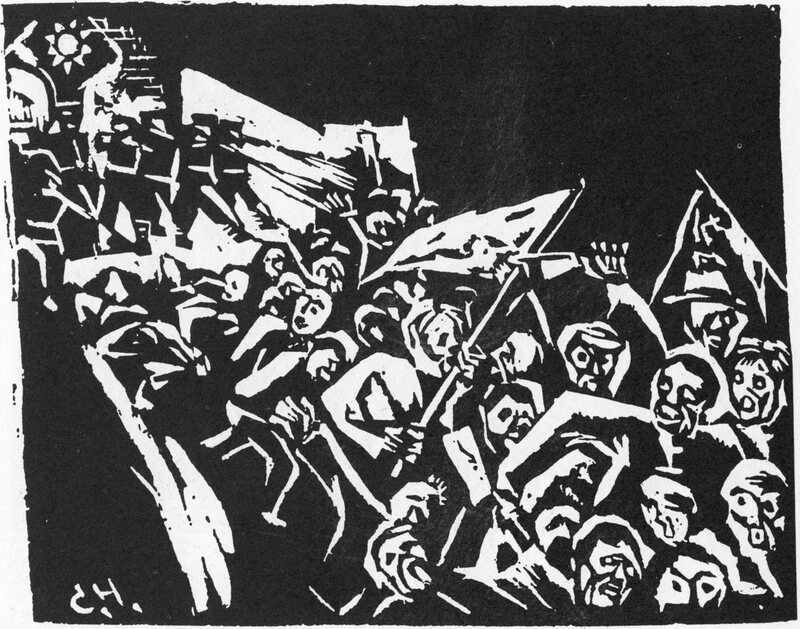 Hu Yichuan, To the Front (1932), woodcut, 20.5 x 27 cm. Reproduced from Selection of 50 Years of Chinese New Printmaking, Vol. 1, 1931–1949 (Shanghai: Shanghai People’s Fine Art Publishing House, 1981). Chinese artists and writers have for centuries retreated to nature during difficult political times. When it has become impossible to serve the country as Confucianism advises, they have turned to Taoist and Buddhist philosophical concerns. The Return Home poems of Tao Yuanming (陶渊明, ca. 365–ca. 427), the landscape ink paintings of Jing Hao (荆浩, ca. 855–915), and the flower-and-bird paintings of Zhu Da (朱耷, ca. 1626–ca. 1705) are quintessential examples of this tradition of harmony between man and nature. Li Hua, China, Roar! 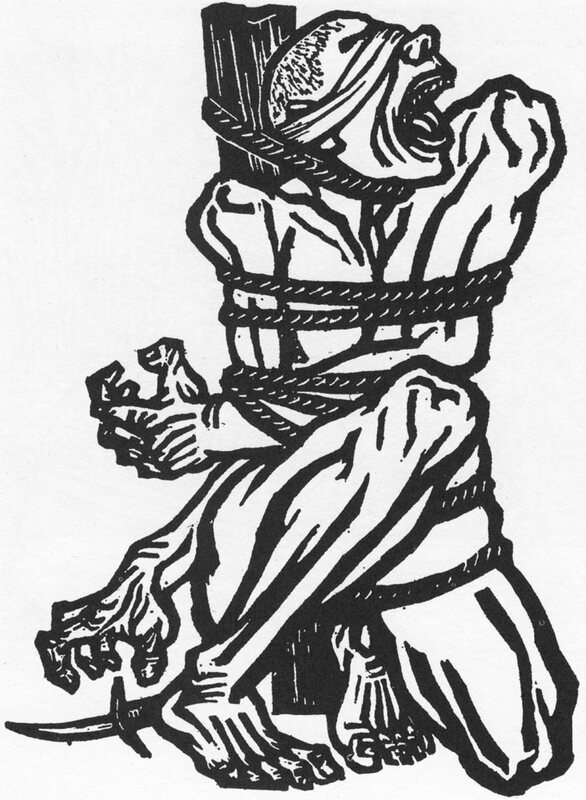 (1935), woodcut, 20 x 15 cm. Reproduced from Selection of 50 Years of Chinese New Printmaking, Vol. 1, 1931–1949 (Shanghai: Shanghai People’s Fine Art Publishing House, 1981). When Mao died in 1976 the “ten years of turbulence,” as the Cultural Revolution is known in China, came to an end. Recognizing the need for professionals to lead Chinese economic and cultural development, the new government released and rehabilitated many of those who had been persecuted. Jiang Feng, who had played a crucial role in the New Woodcut movement, had been labeled a “rightist” in 1957 and spent 21 years in disgrace. In 1979 the Ministry of Culture restored his party membership and named him the director of the Central Academy of Fine Arts, and later the chairman of the newly reconstituted Chinese Artists Association. Another supposed “rightist,” Liu Xun (刘迅), was released from prison in 1977 and named head of the Beijing Municipal Artists Association. When he learned about the group of plein air painters who had continued working under such impossible conditions, Liu Xun organized an official exhibition of their work. Zhao Wenliang now dubbed them the No Name Group. More than 2,700 people visited the exhibition on the first day, including the acclaimed artist Liu Haisu (刘海粟), who, deeply moved, wrote the inscription: “Beauty is here” (美在斯). No longer defined by hostile outside forces, however, the group lost cohesiveness. Several members went abroad in the 1980s, some stopped painting, some are still painting and still nameless—just as they refused to cooperate with politics, they are equally resistant to the booming market for Chinese contemporary art. They have been outsiders all along. In 2006, an exhibition at the Guangdong Museum of Art addressed this forgotten history. In the catalogue, A History of a Self-Exiled Avant Garde, curator Gao Mingly (高名潞)‬ observes that the “art for art’s sake” philosophy of the No Name group does not coincide with the tenets of postmodern art, with their strong tendency towards social critique or intervention.17 Art history, like history at large, is an artifact of a community; it exists in the public domain and concerns primarily public matters. In the era of extreme collectivism, the No Name Group deliberately withdrew from the masses, and thus from the historical record. Left: Zhao Wenliang, front of August 18, 1966 (1966), oil on paper, 21.3 x 18.2 cm. Reproduced from Gao Minglu, The No Name: A History of a Self-Exiled Avant-Garde (Guilin, China: Guangxi Shifan Daxue Shubanshe, 2007). Right: back of August 18, 1966. The official account of 20th-century art in China has been largely focused on political orientations rather than aesthetic values. Political content, however, does not inhere in the medium itself—it is a shade cast by circumstance and human manipulation. 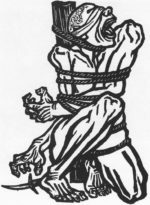 Woodcut, adopted by reformers across continents and centuries to express resistance to institutional power, became in China the means of totalitarian indoctrination, while landscape, generally considered the most conservative and conventional of genres, became in the hands of the No Name Group a dangerously radical practice. Politics is a perspective, a way of seeing: a work of art may be registered as “revolutionary” just as a certain hue might appear to color a white china vase under particular lighting conditions, then shift swiftly with a change in weather, when the moment passed.